COOKIES: Your browser seems to have cookies disabled. You wont be able to maintain a login unless you enable cookies in your browser. 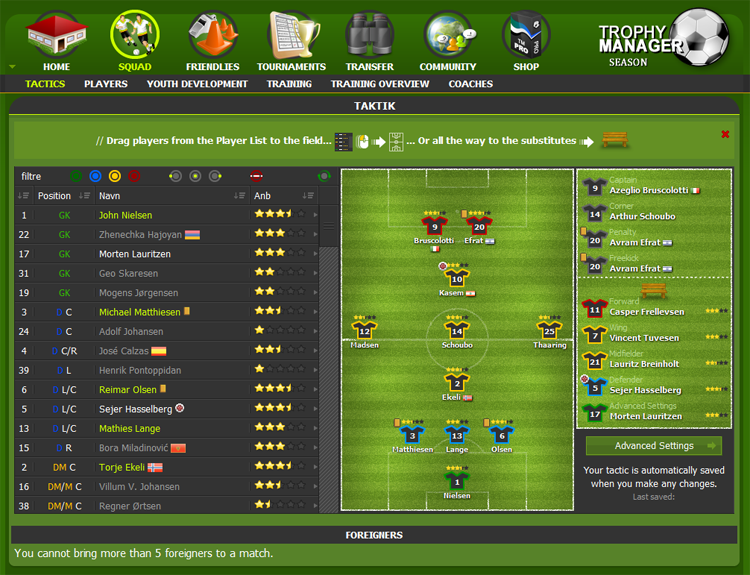 Trophy Manager is a football manager game where you get control of your own internet based football club. In the life as the manager you are the boss and have to control finances, tactics for matches and buy players. You will join an online universe with other human controlled clubs, competing to win the national trophy (Premier League style), the cup trophy or Champions League tournaments. If you want to be a national coach, there is elections every two seasons, so you might one day even manage your country to win the World Cup and take home both honour, glory and the most prestigious trophy on the globe. The game is free to play and the schedule is fixed. Your team will play league matches three times per week. Here you will also get a training report from your players. You can custom design training programmes for them to make sure they improve just as you want them to. You can focus your club on developing young players, or maybe you rather want older more experienced players? In the management of your club, you will face many challenges. Can you hold the budget? Can you scout players that will develop into the next Messi, Rooney or Ronaldo on the transfer list? Can you cope with the injuries and bans your star players will pick up in the matches? 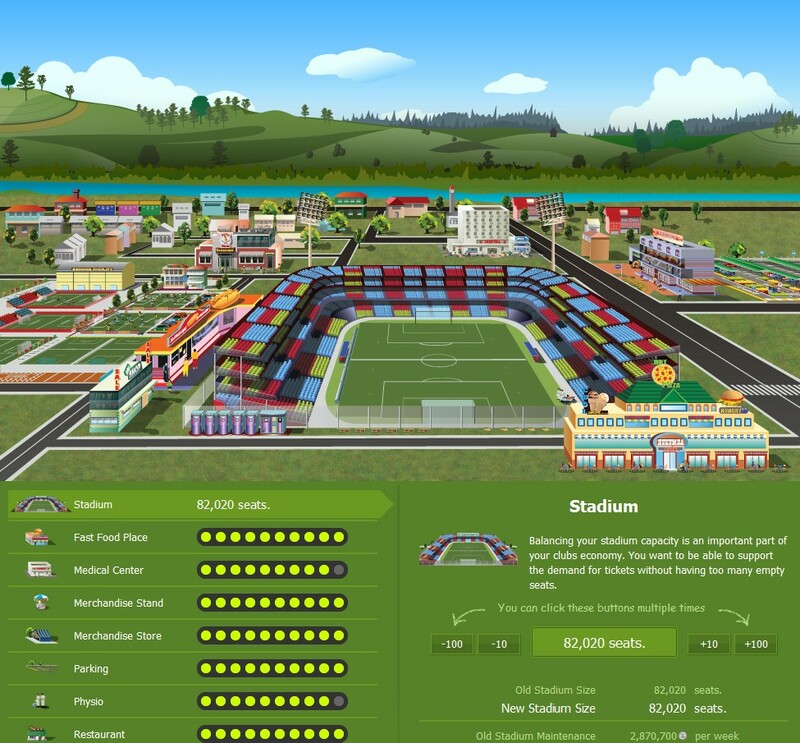 This game takes the football management genre to its supreme test for all gamers - you will only face other players, and only your managerial skills and talent can make you prevail. 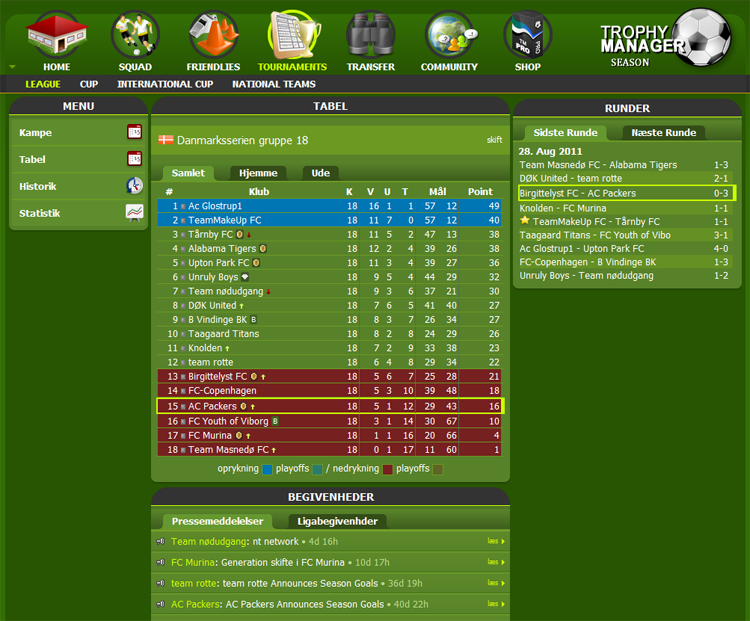 Our match simulator is the most advanced among the large internet based manager games, and it is the most realistic. You can follow your match live (90 minutes + extra time), or just log in later and watch a replay or the match report. Just select the country you want your team to play in and you are good to go. You will instantly get your team, no approving required. It is free to sign up and all you need to play is a browser. No download is required. ... So what are you waiting for? Sign up now!